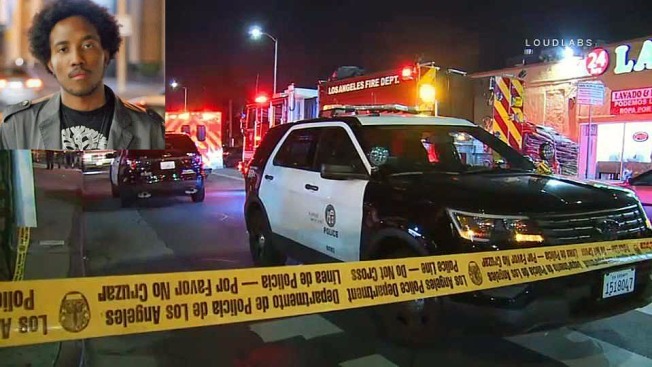 The son of an Oakland city councilwoman was shot and killed near the University of Southern California in Los Angeles early Sunday, according to sources. Victor McElhaney, son of Oakland council member Lynette Gibson McElhaney and a student at the university, walked into a robbery in progress at a liquor store near the campus when he was shot, sources told NBC News and NBC Bay Area. Victor McElhaney was studying in USC's Thornton School of Music, according to the university. Before transferring to USC, he attended California State University, East Bay. "He believed in the power of music to touch lives, to heal, and to bring hope," Interim USC President Dr. Wanda M. Austin said in a statement. "He enjoyed mentoring young musicians and had a long-standing commitment to community service." Back in 2015, Lynette Gibson McElhaney's grandson was killed in an act of gun violence.